Does replacing current website with WordPress means losing all the energy, time and money spent on it? Nope! You started your website on a platform that was popular in early days. But now that you’ve realized after using it for a while that it is no longer do what you need it. It’s high time you should move your website to the next level i.e. WordPress. Smart choice! WordPress is the most powerful content management tool on the internet and brings many benefits if compared with static HTML website. However a person who knows how to code HTML, can only do an update process of HTML website, and we all know that can get expensive! WordPress provides good search engine optimization (SEO) right out of the box. WordPress provides many SEO benefits for free that includes installing a plugin specialize SEO tool to increase your website visibility. You do not need any advanced or expert programming and database knowledge to make and keep WordPress running. With WordPress, you can simply update your contents and options without having to go to your web server account and manually updating files one-by-one. Instead of developing your own; you may now look-up to the official WordPress plugin directory to make your work faster. There are a large number of developers creating themes and plug-ins for WordPress – imagine having the ability to extend your website to user management, online surveys, online auctions, rating systems, events, or hundreds of thousands of other cool features all without having to hire a web developer. One great feature of WordPress is you can assign different types of authorized users to manage your site, and each type has different function and user levels. Thus, making your work easier as you may assign trusted person to work as the site administrator, editor, contributor and author or let your viewers sign-up as a subscriber to your site. If you don’t like the default template you can always look for other templates to make it custom-fit to your website. You can also develop your template base from an existing one from the scratch. WordPress allows to connect and interact with many social networking plugins like Twitter, Facebook, Flickr and many more to increase your popularity and make everyone know that your website exists. Unlike other CMS that can easily get hacked, WordPress is highly secured through the use of plugins. You can also set some post to require a password if you want to keep it for authorized readers only. You can also add layer-wise security to the website. Check and clean up your site’s content if you find any irrelevant and outdated data. Then try to examine the existing navigation system and work on how it can get improved. After doing HTML site analysis, it helps you to decide what are the content, features and functionalities that you should migrate to WordPress. That will give a clear idea about what plugins you need to install for getting the same functionality on WordPress platform. Installing WordPress is a very easy process. There are many web hosts that offer one-click install. If you are not familiar, it would be good to read and inform about new platform your site will be working on. It is strongly recommend to take a complete backup of your static site to avoid any risk of data loss while migrating. The best possible option is to divide your existing HTML code into four sections (content, header, footer, and sidebar) and then copy the content of each section into its respective PHP file. In case your site is large, you can take advantage of an HTML to WordPress plug-in, you can hire someone to convert HTML into WordPress. Once the conversion is completed, you need to do a few things to give your WordPress website a final touch. On a personal note, I think WordPress is the most convenient and easy to use tool in the digital world. Thus, convert your website to WordPress to more efficiently manage your website content using a simple online editor that require NO HTML skills. You can have a greater ease of SEO management design standardization and future expandability options. 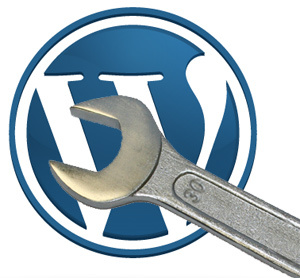 WordPress saves your time in editing content and utilizing more widgets and plugins that expand your reach. Swati is passionate about helping customers build super-successful online auction sites using WPAuctionSoftware. She is a nature-freak, loves travelling and capturing unforgettable memories along the way. She loves singing and driving - often, both at the same time. If there is a wordpress plugin to do the conversion from html to wordpress, that would really be great. The good thing to praise about WordPress is no necessary coding needed, all you need to do is write good posts or articles and you’re done, but if you want to go further with the technical aspects of setting it up, we have wpmayor with lot’s of very useful resources.